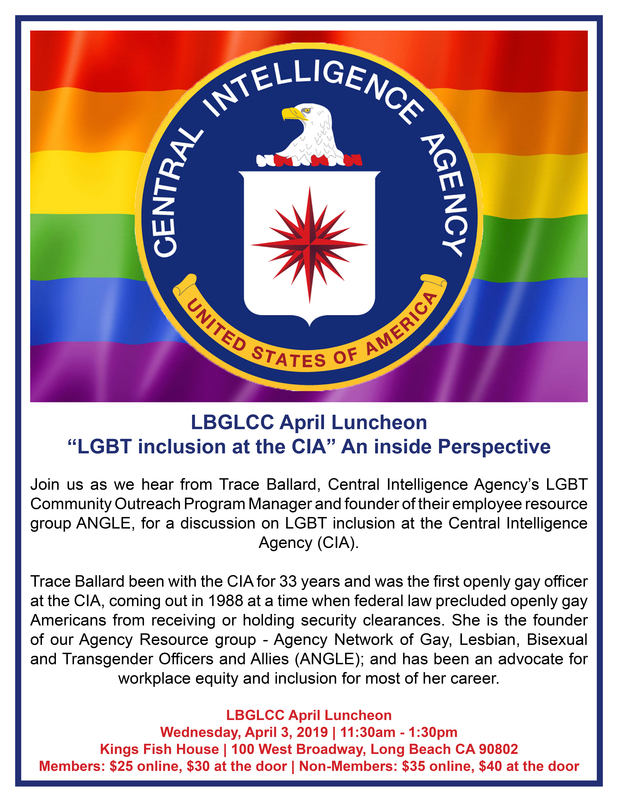 Join us as we hear from Trace Ballard, Central Intelligence Agency’s LGBT Community Outreach Program Manager and founder of their employee resource group ANGLE, for a discussion on LGBT inclusion at the Central Intelligence Agency (CIA). Trace Ballard been with the CIA for 33 years and was the first openly gay officer at the CIA, coming out in 1988 at a time when federal law precluded openly gay Americans from receiving or holding security clearances. She is the founder of our Agency Resource group - Agency Network of Gay, Lesbian, Bisexual and Transgender Officers and Allies (ANGLE); and has been an advocate for workplace equity and inclusion for most of her career.